I’ve written here more than once of my sojourns to Nimbin, in Northern NSW. So I was somewhat distressed to learn this week that half the town, hippy capital of Australia (some would say the world), burned down in a suspicious fire. The whole incident has proved pretty devastating for this alternative community, and home to one of my closest friends. However, luckily no one was hurt. Apparently one of the murals painted on the side of a building was done by Rolf Harris …And painted over once his trial started. Got to admit, the wooden buildings that are now gone and the murals with them, were pretty cool. 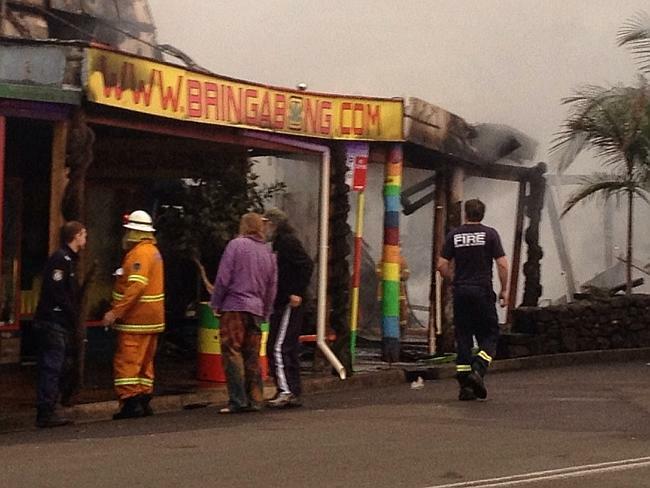 I wish the folk of Nimbin well and hope they get what they need to get going again. We all hang out for you and the girls to come back to your alternative home!!! Smoke may not quite have cleared!!!!!!! !